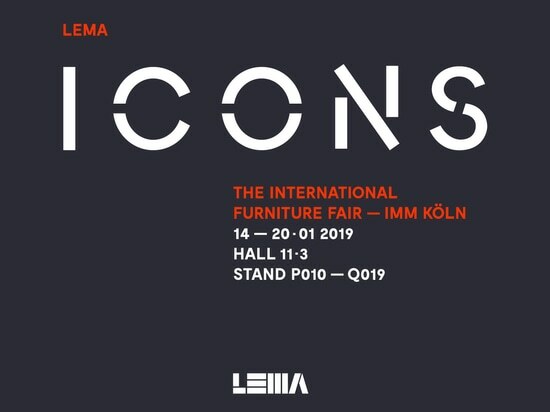 Made to measure bookcase, Tv unit, multifunctional walls for service areas and passageways, custom made solutions for attics, areas close to stairs: there’s no limit to the versatility of Selecta, Lema’s iconic product celebrating this year its twentieth birthday. develop in the 1978 a bespoke load-bearing side-panel system available in different finishes, producedon an industrial scale. 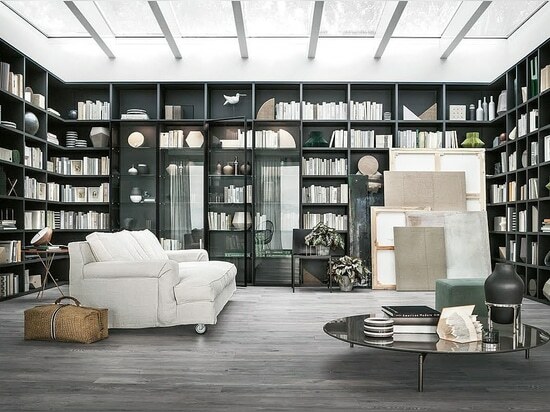 Library par excellence, celebrating its 20th anniversary in 2015, Selecta by Officinadesign Lema was the first product to combine hand-crafted details on wood, with a series of technical innovations that still make it today one of the most versatile shelving systems. With its flexibility of composition, finishes, and arrangements, it is comparable to a hand-built product, benefitting at the same time by the superior quality of modern industrialisation. residential or public, to render the walls dynamic transforming them into a scene of rhythmic orderliness designed to order and exhibit. The modular nature of its elements enables infinite made-to measure compositions. Service areas and passageways, double heights spaces attics, areas close to stairs are not constraints but opportunities: sizes and forms are suitable for any kind of project and solve architecturally complex problems. 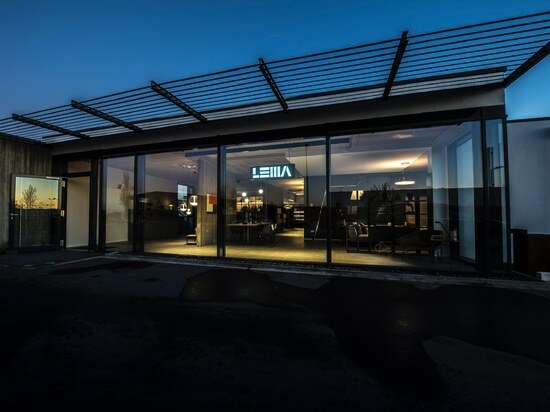 The Lema research always aims to offer systems that are cutting-edge, both aesthetically and technologically. 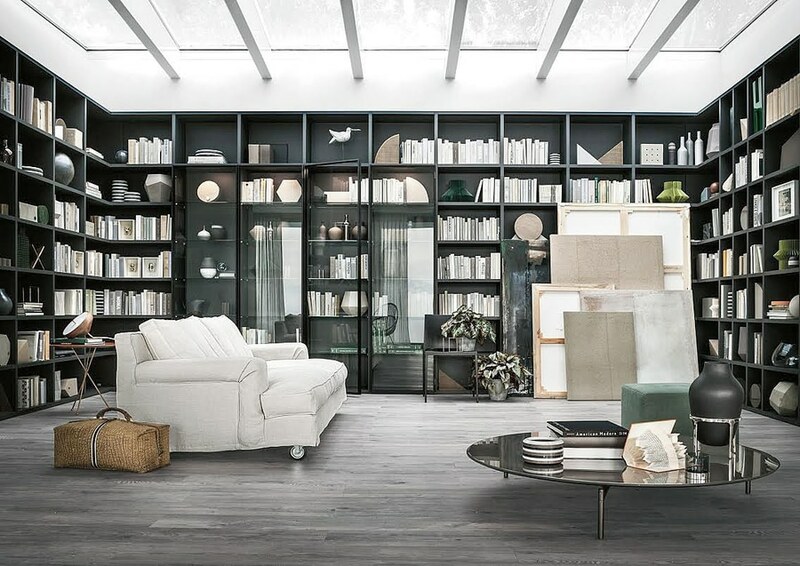 Richness and quality of the finish provide a high level customization: 40 lacquered colors from Lemacolortrend, carbone oak or tobacco oak are available for all components of this line and glossy lacquered only for some details. Glasses can be etched, transparent, reflecting or lacquered. Selecta represents the best Lema design solution: a totally Italian way to design, aimed at substance intended as excellence of execution and materials; a precise philosophy that Lema has been pursuing since its foundation, since it was able to combine handicraft skills to cutting-edge industrial technologies.